List Rules Vote up the most awful, bad, bad, bad CGI fails. Of course we know that trolls aren’t real - neither is the Hulk, or Jabba the Hut. There is an unwritten deal that occurs between spectators and filmmakers. The spectator agrees to something called suspension of disbelief - we allow ourselves to enter a film universe, where children can be wizards or a regular human being can turn into an angry green monster when enraged. In return, filmmakers agree that they will make the world of the film as realistic as possible, as it relates to that film universe. Sometimes, the deal gets broken, and CGI fails. Here are the worst offenders when it comes to movies with bad special effects that you have to see to believe. In low budget B horror movies or grind house romps, the spectator knows that bad CGI is just part of the movie’s charm. That’s why they are called “B movies.” However, when we go to see a Steven Spielberg movie or a Harry Potter film, we expect the big budget effects to be on par with excellence, and are disappointed if they fall short. It’s obviously extremely difficult to blend CGI with live action. Even still, the special effects department from Scooby-Doo and Garfield: The Movie, could have at least made those animated characters look like they belonged in the same universe as the rest of the film. And, Jar-Jar Binks, did anyone anywhere understand the allure of his poorly-constructed CGI character? Make your voice heard. Vote up the worst special effects fails that totally take you out of the movie. The Mummy Returns is the 2001 sequel to the original movie The Mummy (1999). 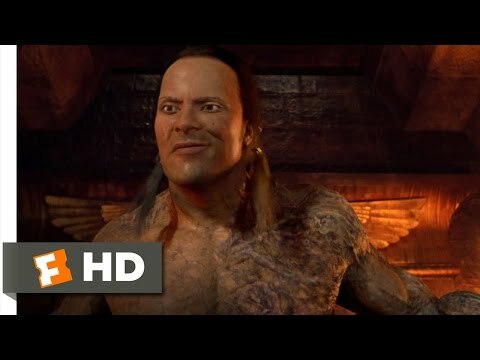 The film is filled with several less than stellar special effects, but this scene of the Scorpion King with Dwayne Johnson's face on its body is one of the biggest missteps in CGI history. Johnson looks like a creepy doll, rather than a warrior legend. David Hosselhoff is not the worst thing in Anaconda III. The worst thing is the actual anaconda itself. Here, we have something that is supposed to be scary, but is so poorly CGI constructed, that it only creates snickering laughter. It almost appears as if the anaconda was clipped from another movie and pasted onto the cells of this sequel. Bella's half-vampire, half-human baby Renesmee from The Twilight Saga: Breaking Dawn Part 2 is an odd-looking CGI creature. The baby is creepy and about as realistic looking as a cartoon. Why didn't the filmmakers just use a real baby? Die Another Day was Pierce Bronson's fourth and last film as James Bond. We've seen Bond get in and out of a lot of impossible jams over the course of 20+ movies. 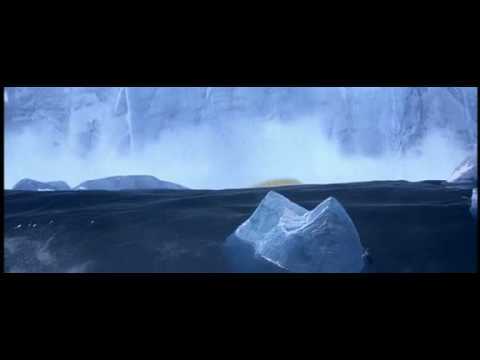 This special effects sequence goes horribly wrong when the famous spy para-surfs over a CGI tsunami with a collapsing (very fake looking) ice glacier. It may be the worst stunt in any Bond movie.